It all began in earnest on January 10, 2013, when I received an email from composer and collaborative artist Paola Prestini. It started with a flattering line: "I am so intrigued by and love your blog!" she wrote. But then it got straight to the point: "I would like to create a Hubble song cycle or contemporary cantata for the mezzo soprano Jessica Rivera and the amazing ensemble ICE (International Contemporary Ensemble)." She added that she thought that the piece would get its strength from concepts related to the universe and Hubble imagery. "Wow!" I thought to myself, "this would be fantastic." After a few more exchanges and conversations via Skype, Prestini, librettist Royce Vavrek, and film maker Carmen Kordas came to Space Telescope Science Institute to meet with me on February 22nd. 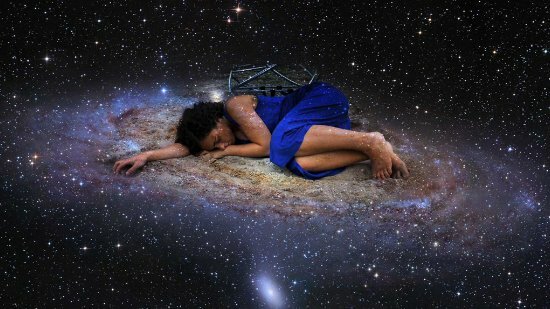 During the inspiring conversations that took place that day, we came up with the idea that the piece should somehow make a poetic connection between human life on Earth and the lives of the stars in the heavens. After all, stars are also born, they live, and they die. The time that was available to produce the complex multi-media piece was rather short, since Prestini and Manuel Bagorro, the Artistic Director of Bay Chamber Concerts, wanted the cantata to premiere in Maine on July 25, 2013. We decided to symbolically anchor the Earth-based part of the lyrics on the agonizing experiences of a young woman struggling with a harsh reality. As Vavrek states in the introduction to the libretto: "Her footsteps tell stories." The music and imagery for this section were partly inspired by the Japanese mythology-rich forest Aokigahara (Figure 1). Sadly, the historic association of this forest with demons has led to numerous suicides on the site. To connect the life (and death) experience of the young woman to the heavens, we used the ancient Peruvian geoglyphs known as the Nazca Lines (Figure 2 shows a satellite picture of such lines). Again in Vavrek's words: "The woman walks in patterns, pictures emerge in the soil... She creates her own private Nazca lines, tattooing the Earth with her history." The Nazca lines in Peru are believed to have been created between the fifth and seventh centuries, and they are thought (at least by some researchers) to point to places on the horizon where certain celestial bodies rose or set. In other words, they truly marked a direct astronomical connection between the surface of the Earth and the heavens. Figure 1. 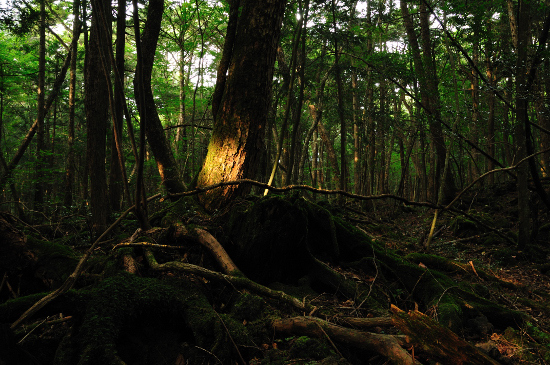 The Aokigahara forest in 2008 (from Wikimedia Commons). Figure 2. 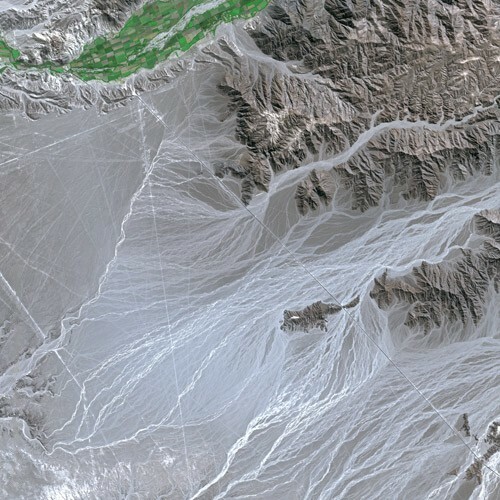 Nazca lines (from Wikimedia Commons). In its conclusion, the Cantata completely intermingles the fate of the young woman with the ultimate fate of the stars (as is gracefully illustrated in Figure 3). The shapes in the sand and the constellations in the sky become one, mirroring the tortuous path of human life in the dramatic Hubble images of outbursts that simultaneously mark stellar deaths and the promise for a new generation of stars, planets, and life. Figure 3. A still photo from the visuals that accompany the "Hubble Cantata." Credit: Carmen Kordas. I have no better word to describe the fusion of Prestini's music and Vavrek's libretto with Kordas's imagery than "mesmerizing." I can only hope that the performance of the "Hubble Cantata" will travel extensively, to give as many people as possible the opportunity to emotionally experience its effect.